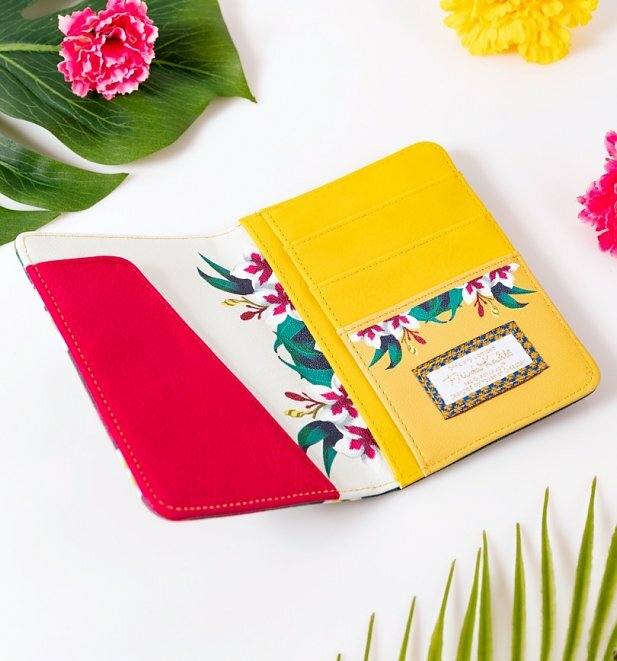 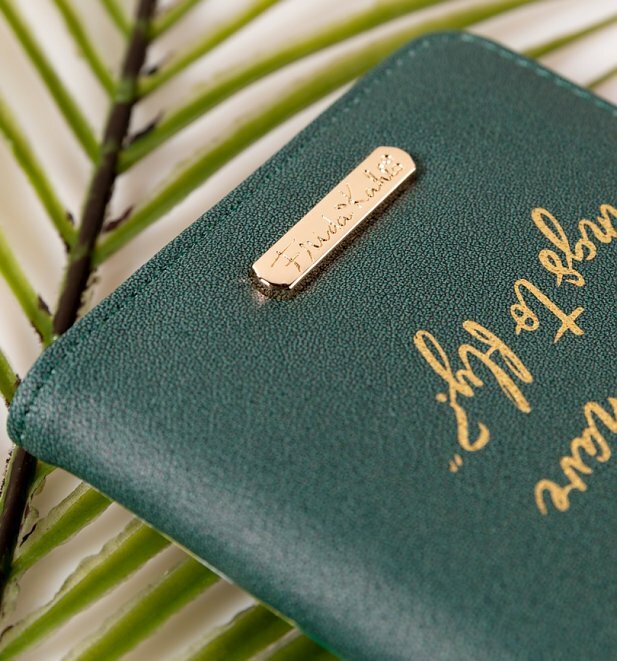 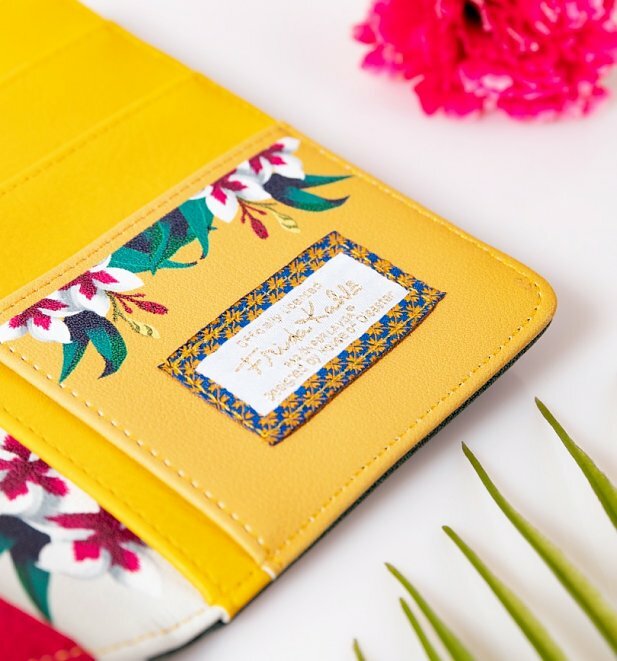 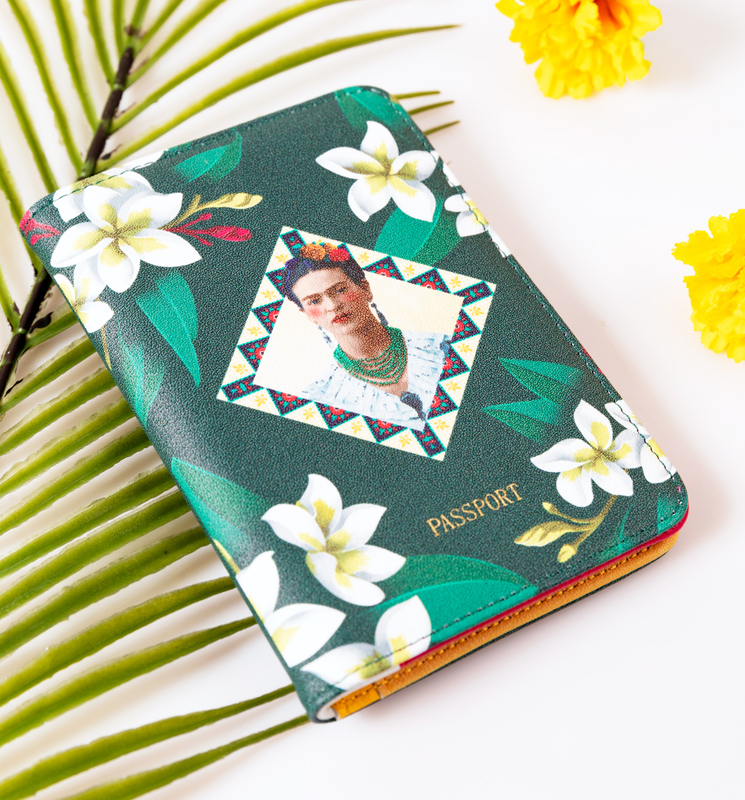 Add some exotic Frida Kahlo style to your travels with this beautiful passport holder. 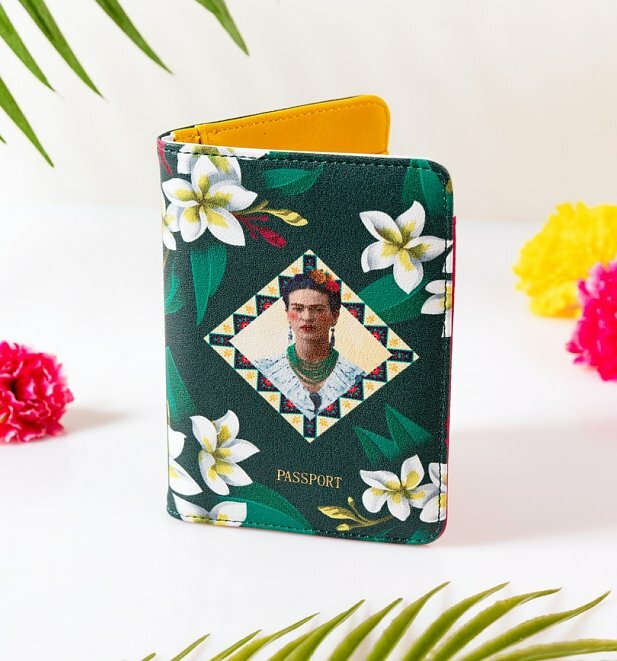 Featuring a beautiful floral, geometric design and Frida Kahlo portrait, this colourful accessory will inspire your lust for adventure. 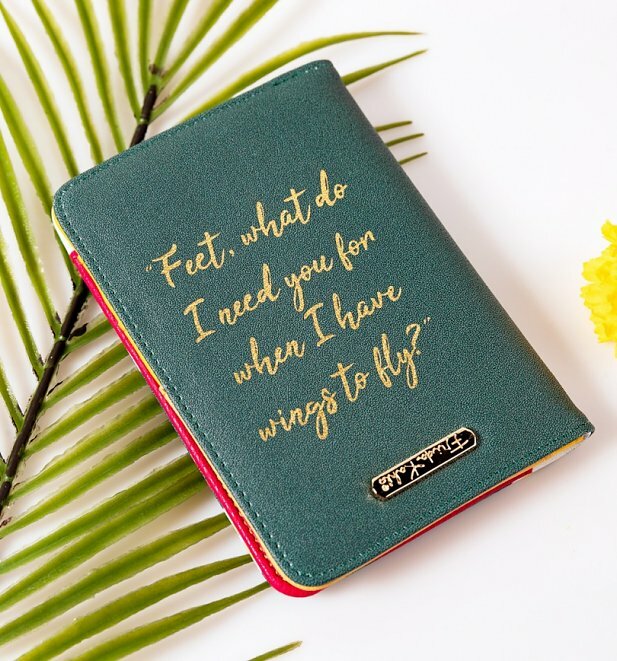 With the quote 'Feet, what do I need you for when I have wings to fly' printed in gold on the back, this is a delightful find for any fan of the iconic Mexican artist.